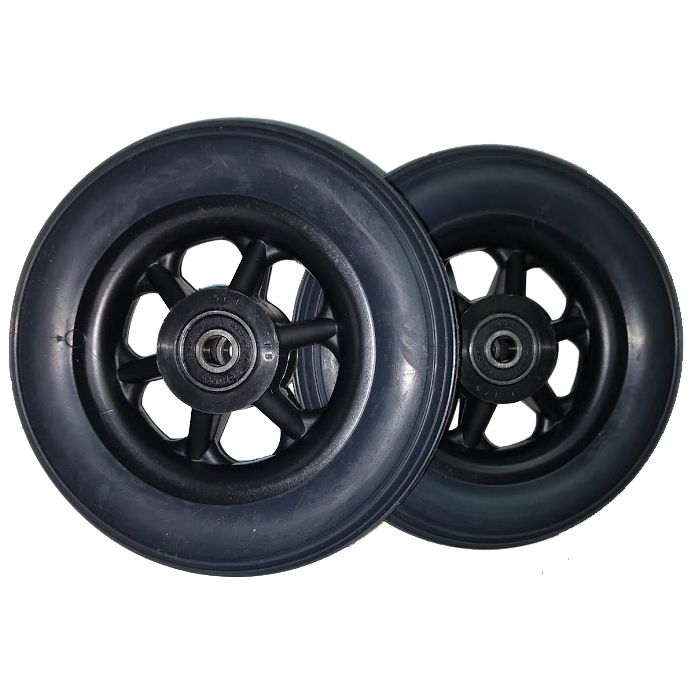 To make your ride smooth and safe, browse through our high quality collection of 5" Wheelchair Front Casters below or feel free to call 1-800-743-7203 for help. If you put your faith in Sportaid, you'll be glad you did! Select from the top manufacturers and save big with Sportaid.com's everyday low prices. 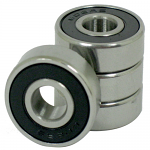 Replacing the front caster wheels of your wheelchair might be the key to achieving the smoothest ride possible. Sportaid's casters can improve the steering capability of your wheelchair to provide you with the ultimate smooth ride. 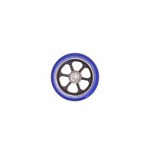 Sportaid's inventory of premium Wheelchair Casters is available to your at affordable prices. 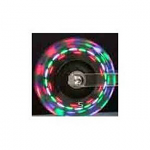 This is the inexpensive selection of super adjustable wheelchair caster wheels from Frog Legs and other top names you have been searching for. Absorbing the vibrations that can affect your comfort while moving around in your wheelchair is the primary function of good casters, and no one does it better. Our selection of 5" Wheelchair Front Casters features 5" x 1" Frog Legs Epic Black Lexan Firm Roll Court Wheelchair Casters, 5 x 1" Soft Roll Wheelchair Casters, and many more. Get your 5" Wheelchair Front Casters from Sportaid and save up 31% today! You can take advantage of our satisfaction guarantee whether you are a new customer or someone who has been with us from the beginning. 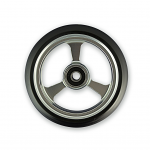 We carry a large selection of wheelchair cushions, wheelchair parts, and wheelchair accessories, and 25 years of helping people find 5" Wheelchair Front Casters at the lowest prices have made us an industry leader! We constantly prove it by beating our competitors' advertised prices, just call! Our customer service staff has over 50 years of experience, plus over 90 years of combined wheelchair use experience. We look forward to working with you!